A population-based study of nearly 69,000 French adults found a significant reduction in the risk of cancer among people who ate a lot of organic food. If the findings can be confirmed with further research, promoting organic food consumption in the general population could be a promising preventive strategy against cancer, the authors say. A comment piece from a US author says the findings warranted further research, but should be taken with a grain of salt, as the intake levels were self-reported and not validated. Funder: The French Ministry of Health, French Institute for Health Surveillance, National Institute for Prevention and Health Education, National Institute for Health and Medical Research, National Institute for Agricultural Research, National Conservatory of Arts and Crafts, and Paris 13 University. Dr Baudry was funded by grant ANR-13-ALID-0001 from the French National Research Agency. This paper merely shows that people who consume organic food have a lower incidence of cancer over 4.5 years but it does not show that this is actually due to the organic foods. The consumers of organic foods were a very healthy group with lower BMI, more exercise, less meat and more fruit and vegetables. Although these were taken into account in the analysis there are many reasons why people have lower rates of cancer which may not have been measured in this analysis. Cancer has a very long development period so to assume causation these people would need to have been consuming organic foods for many years, possibly longer than it has been available. The major failing in relation to organic food is a lack of convincing biological causation-the herbicides and pesticides avoided need to have been shown to cause cancer in animals at human doses in reproducible studies and to cause DNA defects in human consumers. We also need to see a relationship between urinary levels of the putatative cancer causing agents and cancer rates. The question as to whether organic food is better for us has not been well studied and so this French paper is both interesting and timely. We have to take care, however, to read beyond the headline to really understand what the results tell us. Notably, the participants who reported consuming more organic produce had better diets overall. They ate more fruit, vegetables, nuts and legumes, while eating less processed meat, other meat, poultry and milk. It is therefore very difficult to tease apart whether their lower risk of cancer came from choosing organic produce and what was simply a reflection of a higher intake of plant foods overall. Plant foods are rich in a plethora of phytochemicals with potential anti-cancer actions. Were these responsible for the effect? Those with a higher organic food intake were also more likely to have a higher income, higher occupational status and have reached a higher education level. This may also impact other lifestyle factors known to relate to cancer risk. Although the study has tried to account for these confounding factors, it’s pretty hard to tease them apart. Nevertheless the association between organic food intake and risk of cancer was found to be significant and that warrants further study. If pesticides and other chemicals used in conventional farming are putting our health at risk we need to know this and my view is that conventional agriculture needs to adjust and improve, as the cost of organic produce is prohibitive to most Australians. It’s important that media coverage of this study does not scare people away from eating more fruit and veggies. Our intakes are already dire in Australia and health could be dramatically improved were we just to achieve a rise in our intake of veggies per se, whether organic or not. 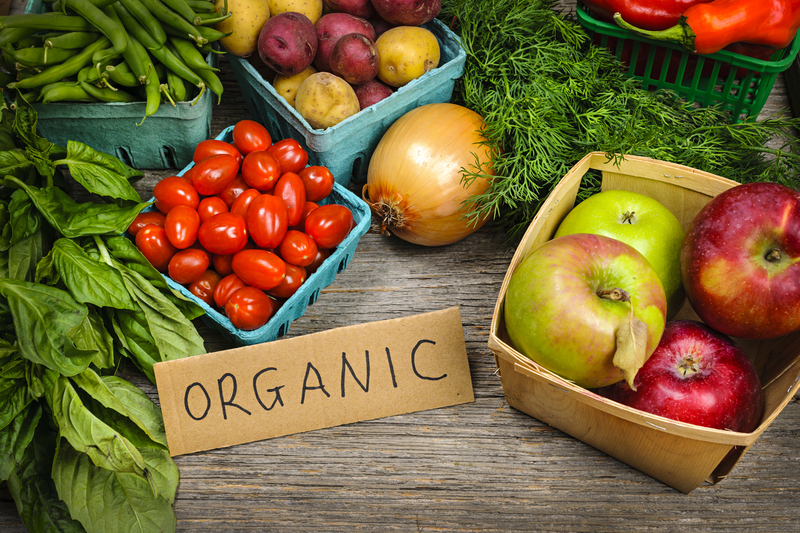 Organic food consumption reduces cancer risk but questions remain….. It is known for a long time that organic foods presumed to be gown without any pesticide exposure are good for general health. But, there were no convincing studies that linked the consumption of organic foods to prevention of cancer. A new study by Baudry and colleagues asked questions of around 69,000 people about their intake of organic foods and then followed them for 5 years to investigate the incidence of cancer especially breast cancer and lymphoma. Their analysis shows that organic foods reduced the risk of cancer by 25%, compared to the people who had a low frequency of organic food consumption. While these results look very encouraging, we can’t literally interpret the data and start advising expensive organic foods as there are some flaws in this study. Firstly, the food questions were designed by the study group and the answers from respondents were self-reported without taking other factors, such as health & socio-economic status, into consideration. The other important missing link is the amount of food consumed by the subjects in this study. This study establishes a good case for organic food consumption in lowering cancer risk but further research needs to be carried out before specific health advise can be provide to people in general. This is certainly a thought provoking study, and it could suggest that choosing organic products as a part of an overall healthy diet might help to reduce cancer risk. However, there are some methodological issues with this study that make firm conclusions difficult. As would be expected, participants who used organic foods, were on average better educated, had higher incomes and also otherwise healthier lifestyles. The key problem with this type of study is that regardless of statistical approaches or adjustments, it is practically impossible to say whether it is the use of organic foods, or some other correlated aspect, that led to the observed protective association. Organic foods are expensive and can be inaccessible to some. The risk here is that these findings could act as a deterrent to fruit and vegetable consumption, which are an extremely important source of various nutrients, including antioxidants, phytochemicals, and fibre. Overall fruit and vegetable consumption is good for you, organic or not. This large and well-designed epidemiological study involving 68,946 French volunteers, led by the Université Sorbonne Paris Cité in France, found significant lower overall cancer rates in participants with high organic food consumption. The difference remained significant when the more healthy lifestyles and diets of organic consumers were taken into consideration in the statistical analyses. When rates of individual cancers were assessed significantly lower rates among organic consumers were detected for postmenopausal breast cancer, Non-Hodgkin lymphoma and all lymphomas. The authors describe the lower exposure to pesticides that have classified as “probably carcinogenic” by the WHO’s International Agency of Research on Cancer (IARC) as the most probable mechanistic explanation for the lower cancer rates among organic food consumers. The authors conclude that 'Although our findings need to be confirmed, promoting organic food consumption in the general population could be a promising preventative strategy against cancer'. The relevance of the safety of pesticides and herbicides used in food production is increasingly being questioned. This study of almost 69,000 French adults over a 5 year period adds to the debate with its findings showing a small but significant reduction in the incidence of some cancers in those who chose more organically-grown food products. Certified organically-grown foods are produced without synthetic fertilisers and pesticides. Although this study didn’t measure levels of pesticide residues in urine, other studies confirm that levels are lower in those who choose organically-grown produce. As well as the differences in what is added during production, organically-grown products may involve different varieties with different flavour profiles, often harvested only when fully ripe. Such details means that many organically grown products cost more. This will affect consumption patterns. Other positive health behaviours may also be relevant for those with less socio-economic stress. Due to the limitations with such studies, the authors of this study wisely remind readers that their results need confirmation in other trials. The accompanying commentary also notes the strong evidence showing the well-established anti-cancer benefits of maintaining healthy body weight and including more physical activity and a better diet featuring healthy plant foods such as vegetables, fruit and wholegrains, less added sugars and refined grains, and limited consumption of red and processed meats. However, vigilance in food production needs more careful consideration, possibly for the sustainability of our own health and definitely for the health of the planet. I am naturally suspicious of papers on organic foods, even when they make it into high impact journals like JAMA. I think findings like this are highly likely to be the result of ‘residual confounding’ (meaning that there are other factors not measured or accounted for in the statistical gymnastics). In my mind, being able to afford to buy organic foods (at least in Australia) is clearly related to being wealthy as well as many (often exaggerated) health-conscious behaviours. If organic foods were the cheapest, I suspect it would not be nearly so popular. Moreover, in Australia, my agriculture colleagues tell me organic food production is simply unsustainable (they use too much water, too much land, too much everything). The potential for pesticides to cause cancer in humans has long been a driver of organic food consumption. Although a number of commonly used pesticides are classified as probably carcinogens, there is actually not much evidence to support the association of eating foods treated with pesticides during their production with cancer in humans. This study looks at the relationship between eating organic food, which has not been treated with such pesticides, and the risk of developing cancer in a large population of adults in France. The key finding is that those people who consumed the greatest amounts of organic produce were least likely to develop cancer. Compared to those with the lowest consumption of organic foods, the risk of developing cancer was between 11 and 37% lower amongst those with the highest intakes. The study has some key limitations, most notably that it is quite possible that the people who choose to consume organic foods also have other healthy behaviors that may lower their risk of cancer, such as eating more fruits and vegetables, and exercising regularly. These factors are difficult to account for in this kind of research. Despite these limitations, these are promising findings that support the consumption of organic foods as a means by which to lower the rate of cancer in the population. This should promote broader discussions about the implications of agricultural production methods for human health, and also whether the consumption of organic foods should be more widely promoted.